Sammy Terry (who occasionally assumed the pseudonym “Bob Carter”) has died. 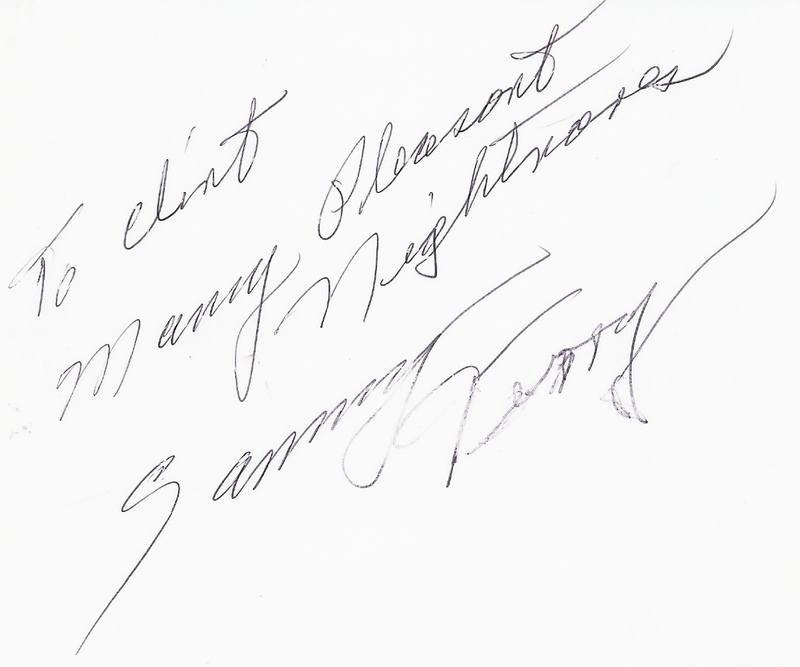 For the uninitiated, Sammy Terry was one of the ghoulish Gods of late-night creature features (up in the ranks with Zacherely and Vampira) who imbedded indelible memories—of black bats, of hastily-etched tombstones, of sylphic phantoms floating between screens of dead trees—in the minds of Midwest children. I’m quite pleased to say that I had the great fortune to have been one of these kids who were elated by weekly appearance of Nightmare Theater, our faces faintly lit by the blue coruscation of the television in a dark room on a Friday night, waiting for the ominous, echoey knell of the small-hour church bell, hearing the howling wind mingling with the ghost girl’s whispered preamble—“In the dead of night, when the moon is high, and the ill winds blow, and the banshees cry, and the moonlight casts an unearthly glow, arise my love with tales of woe”—before the emergence of Sammy Terry’s signature chuckle. Tales of woe, to be sure. I’d be disingenuous if I ignored acknowledging that I still engage in this sort of day dreaming, in one capacity or another. There are large portions of my imaginative infrastructure that respond to the fundamental impulse to gaze out over narrow patchwork of backroads—out over the verdant vistas of corn in the summer…the rust and gold belts of trees in the fall…the snow-swept blankets drifting against rumored haunted houses—and wonder what quietly resided in the shadows of this otherwise unassuming place. Of course the images of Bradbury’s stories (Something Wicked This Way Comes, in particular) helped give inchoate shape to this, but his influence is one of a macro variety. 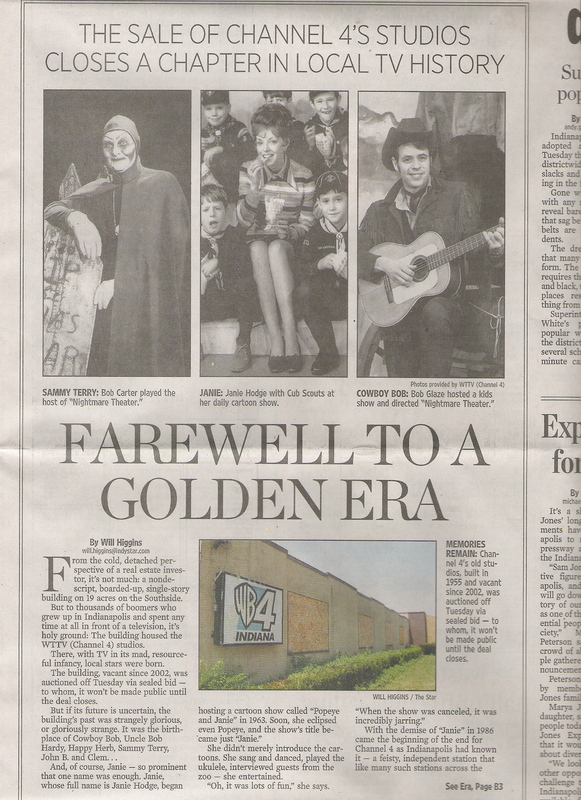 Sammy Terry’s presence (and the weekly installment of some sort of narrative) had a more profound effect. It might be too easy to quote King at this juncture, but this is pretty close to perfect: “If not for heart and imagination, the world of fiction would be a pretty seedy place. It might not even exist at all…I was built with a love of the night and the unquiet coffin, that’s all. If you disapprove, I can only shrug my shoulders. It’s what I have” (On Writing, 2000). And while I don’t necessarily mean to intone Clark “Mouth” Devereaux from the Goonies (“This is our time!”), and though Sammy Terry’s legacy has the potential to gain pervasive notoriety, his most lasting impact will certainly remain nobly micro. And for Indiana children, for Midwest dreamers, he was ours. 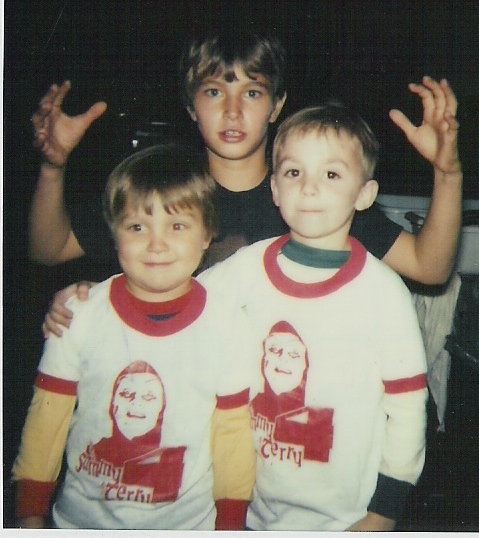 I have the cherished ability to say that I was able to meet the persona of Sammy Terry on several occasions throughout my life, and even had an impromptu encounter with the kind and gentle Bob Carter. 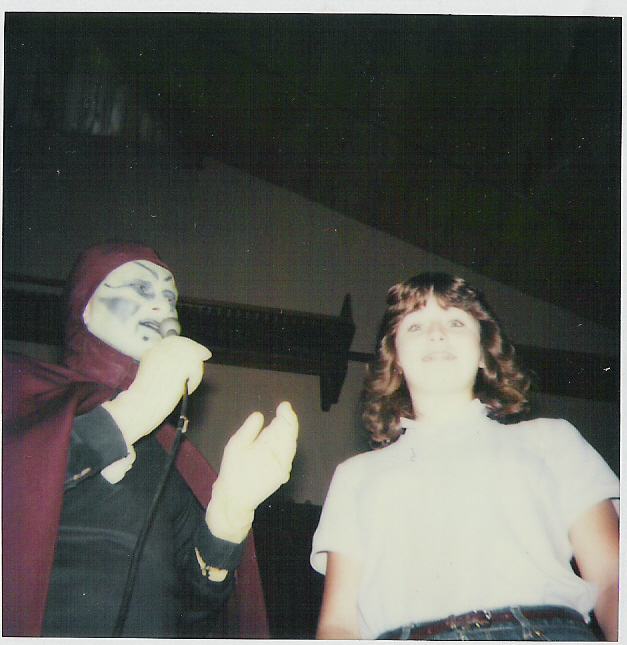 Around 1982 (I must have been five-years old), Sammy Terry hosted a Halloween event at the Paramount Pizza Palace (gone now, sadly, but at the time it was a favorite, eastside dining destination for Hoosiers). 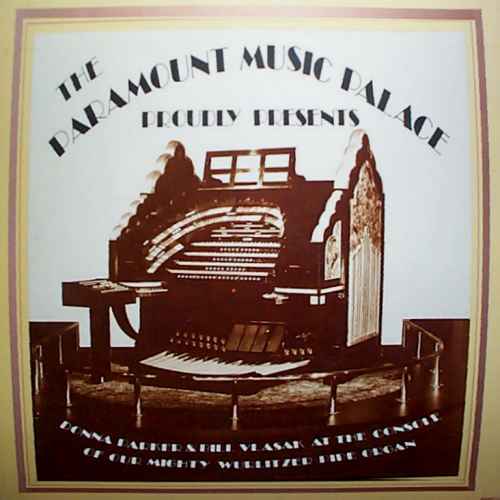 The centerpiece of the pizza palace was an enormous Wurlitzer pipe organ which rose out of the center of the concert hall-style dining area. The pipe organ acted as a sort of heart for this place, with the arterial network of exposed pipes branching into the palace, the eerie chords vibrating the wall panels as though the woodwork was reverberating bones. I recall, as the line of people snaked into the concert hall, the vivid sense of giddy dread—that child variety of pseudo-fear that is tolerable only because of the vague sense that everything, somehow, will be okay. 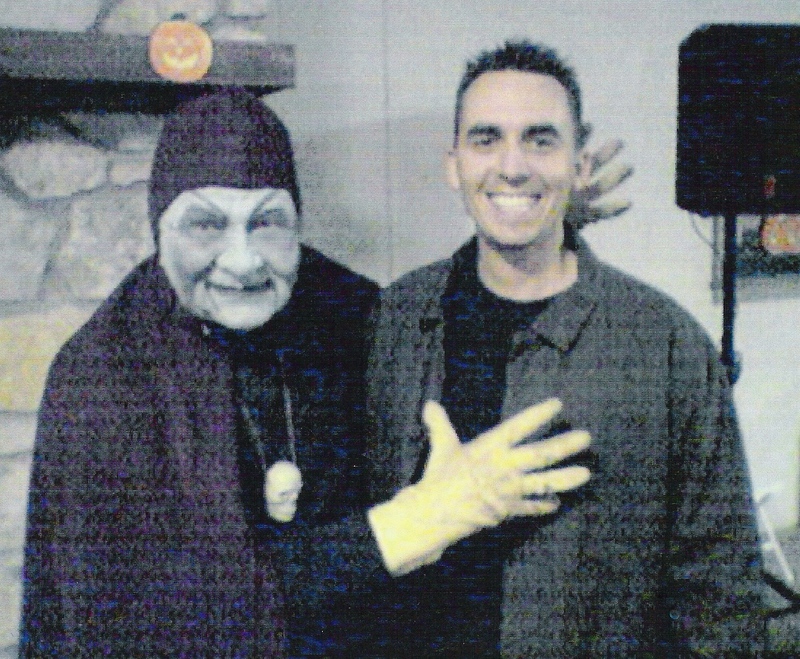 And while Sammy Terry was indeed a boogey man of sorts, this particular ghoul invited our minds to participate in the practice of fear-giving. 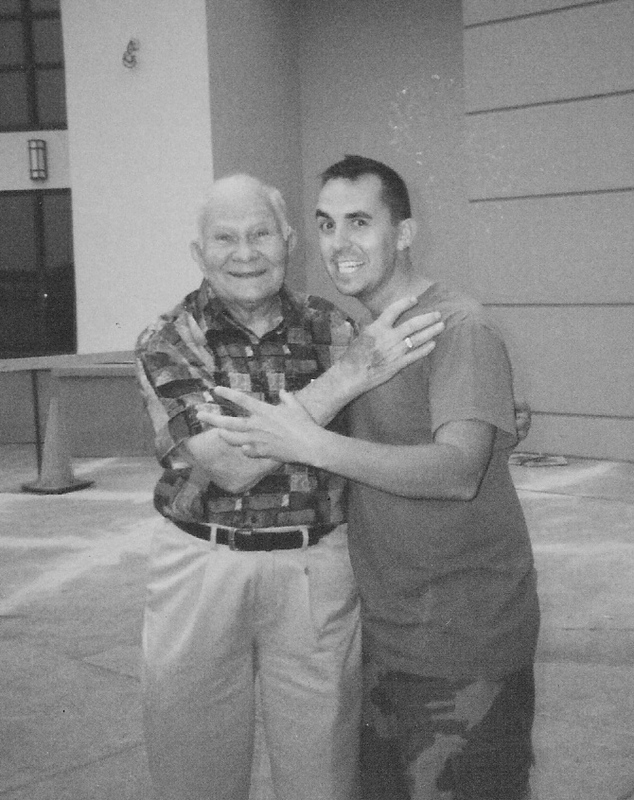 He was, in short, a storyteller. I came to a full stop, spun around and jogged after the man. Bob Carter. Of course he didn’t appear startled at all, and instead smiled and nodded his head patiently as I apologized a preamble about why I chased him down. His body language seemed to say, Just relax, kid, I get this all the time. As you can see here, Mr. Carter was gracious enough to indulge my request. As a writer, there are myriad novels, authors, memories, dreams, loves, and crimes that have galvanized my gravitation toward the craft. But as a kid growing up within the tame confines of the countryside between Acton and Wanamaker, when my formative sensibilities were a bit more innocent, the creative influences, in hindsight, are bit clearer and easier to manage: Scary Stories to Tell in the Dark by Alvin Schwartz (paired with the unforgettable drawings of Stephen Gammell); the twenty-minute rhythm of Twilight Zone episodes and Serling’s later creation The Night Gallery; the black-and-white stills of Max Schreck’s interpretation of Nosferatu; and finally the ominous ambiance of Sammy Terry’s Nightmare Theater—these became the fear-givers that germinated my nascent imagination. 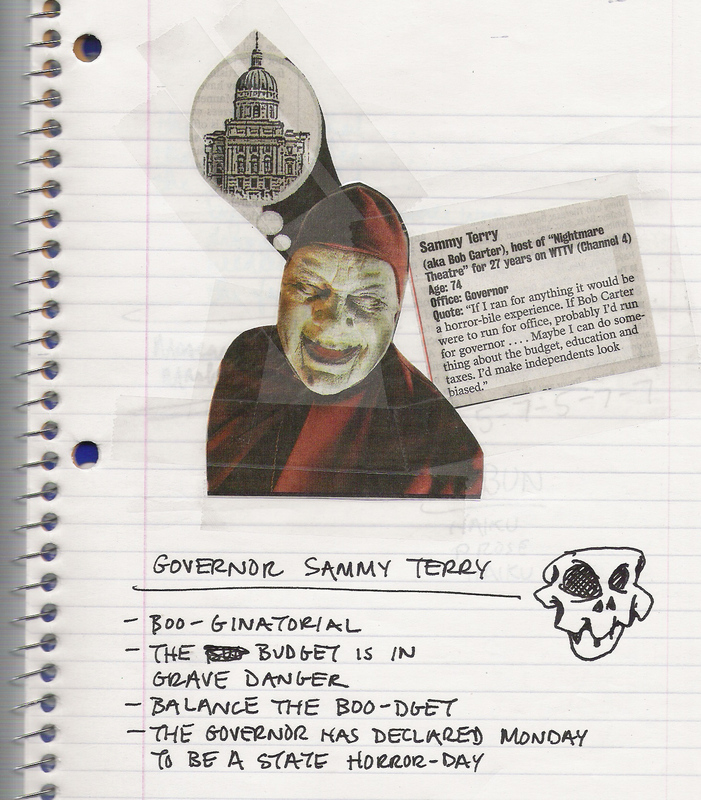 But most cherished was Sammy Terry, because he seemed to be an amalgamation of all these mediums. And for the better portion of these past three decades, my impulse as a writer would—and will as the years stretch out—return to the fertile familiarity of childhood and ask, for an uncountable time, How does it work?—this mercurial and alchemic trick of storytelling. I’m grateful for growing up in a period when “appointment TV” meant waiting all week to stay up late on a Friday night, settling into the shadow-shifting darkness as Sammy Terry crept out of his coffin. I’m grateful for growing up in this place. 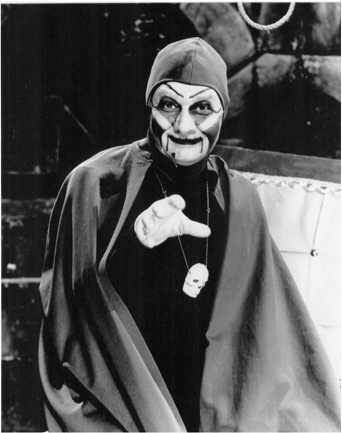 Thank you, Sammy Terry—thank you, Bob Carter—for cherished childhood dreams and nightmares, and for the tales of woe yet to come.